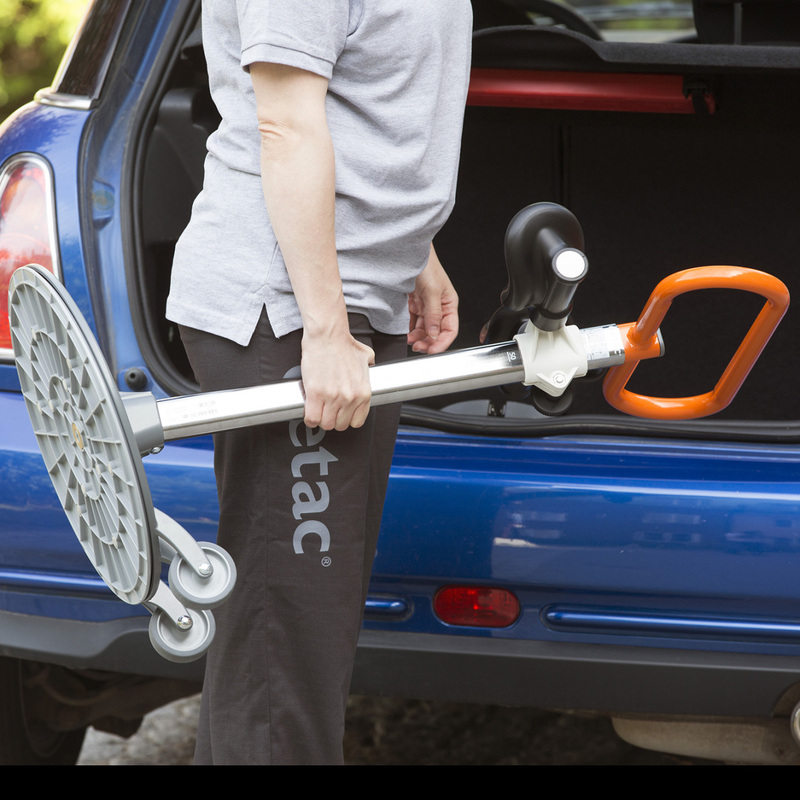 Etac Turner PRO is a portable patient turn aid with a functional design that offers safe patient turning with standing support. 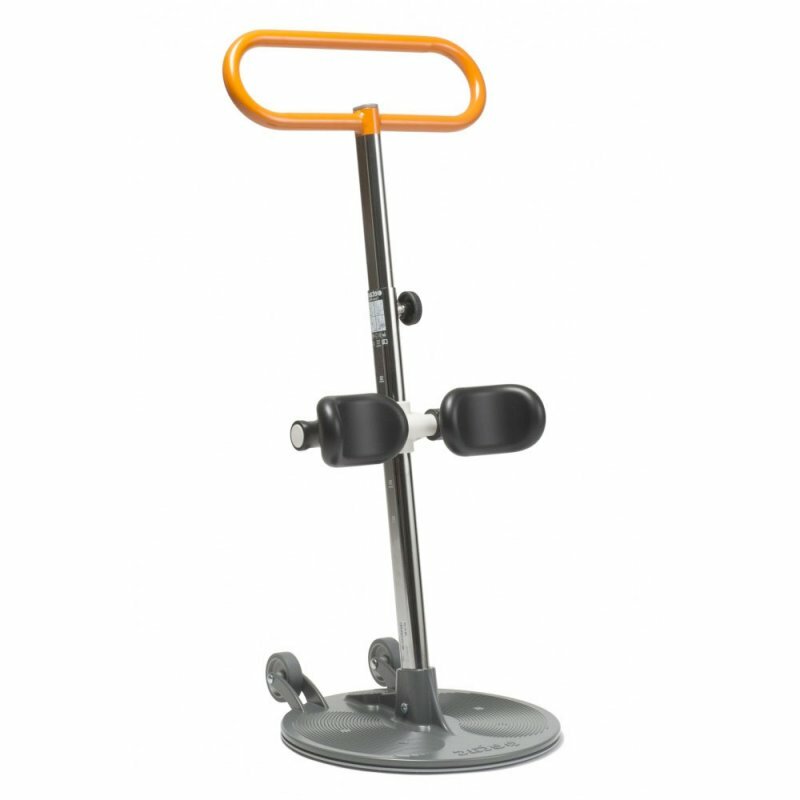 This turn aid enables a good posture and minimises the risk of injury for the carer when transferring, moreover, it encourages natural standing and sitting movement for the user. 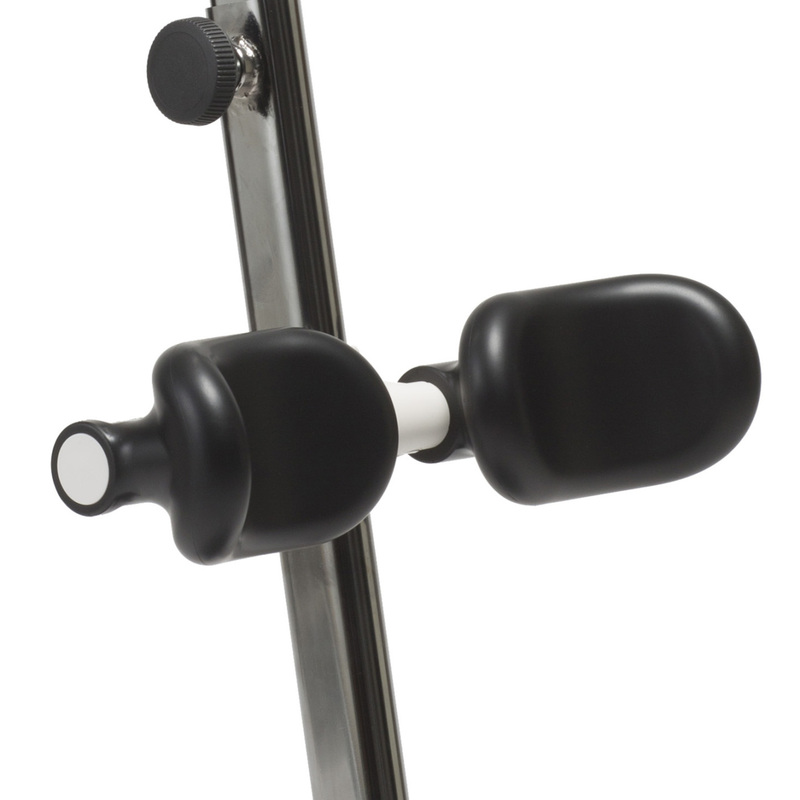 The only adjustment necessary is the height of the leg support and the handle. Thereafter, the transfer can be performed safely whilst the caregiver and user can maintain eye contact and communication. 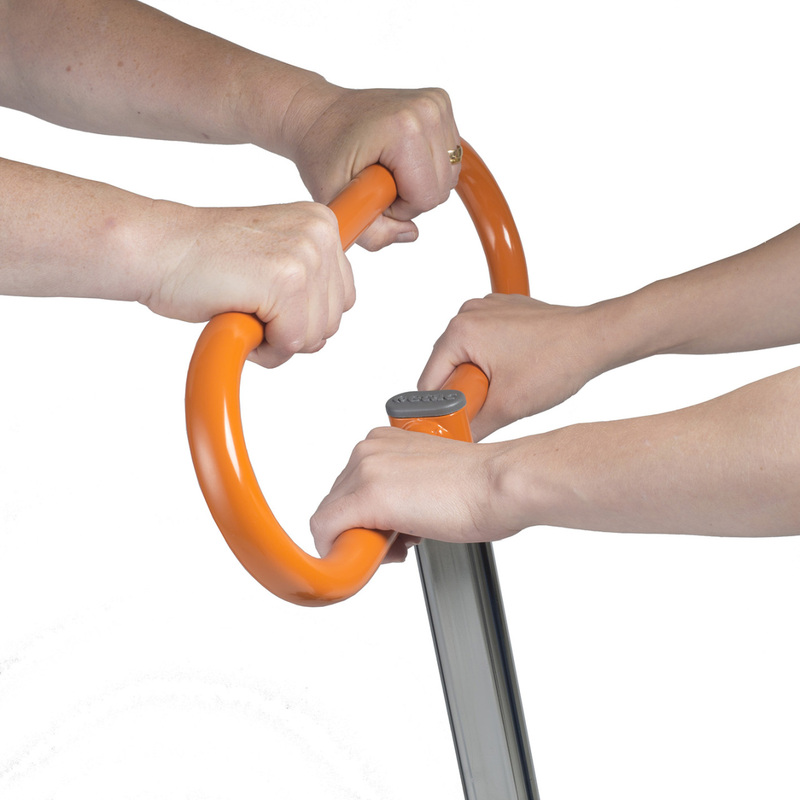 The orange handle provides a strong, high contrasting colour which can help users with impaired vision or dementia. 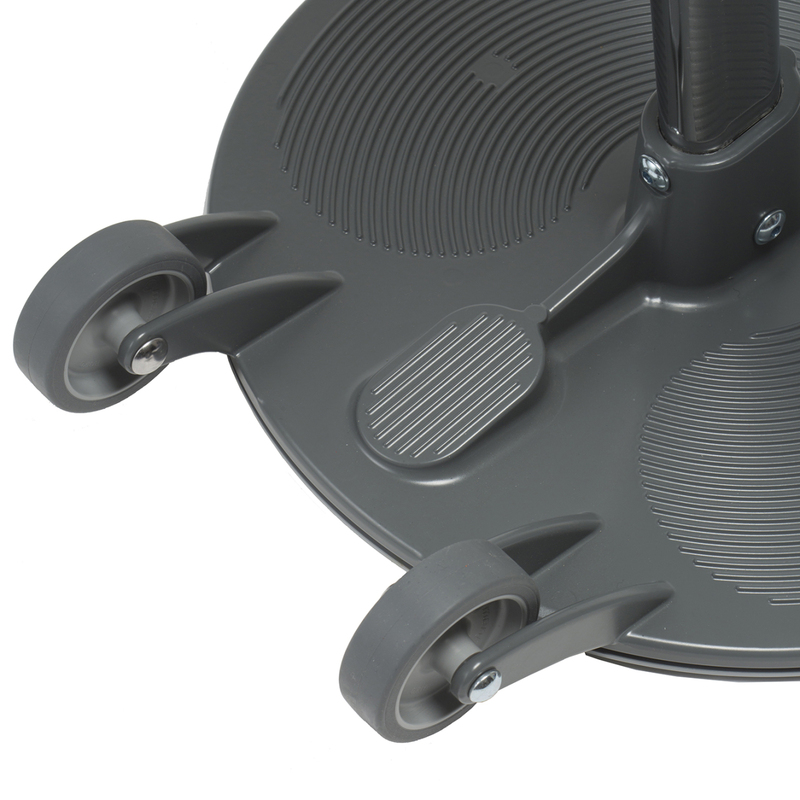 Cast aluminum base plate with integrated anti slip function is easy to turn. 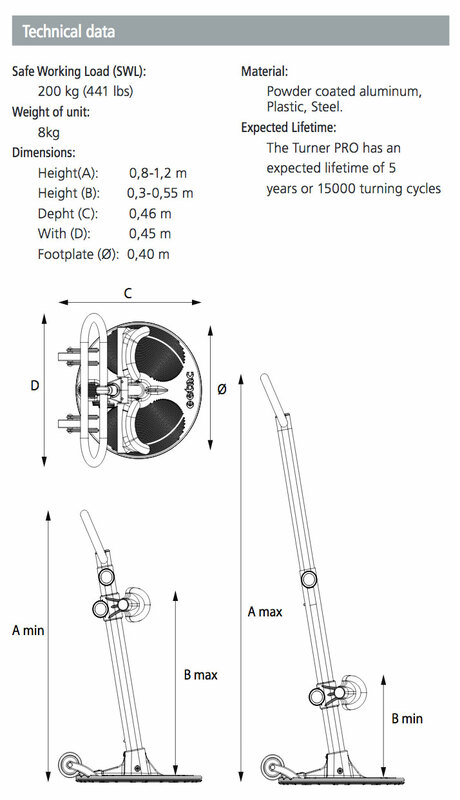 Together with the wheel, Turner PRO works well on different flooring materials including carpets.